Herfert Software Reviews Recently Reviewed! Herfert has been easy to learn and use. The learning curve was very minimal since it's set up well. Pros: I feel that Herfert is very user friendly and allows me to complete all of my daily tasks in an efficient manner. The screens are easy to navigate and clear on where/how to enter information. I love that I can send out text/email reminders to my patients and it's built right into the software! That alone has helped to reduce missed appointments. 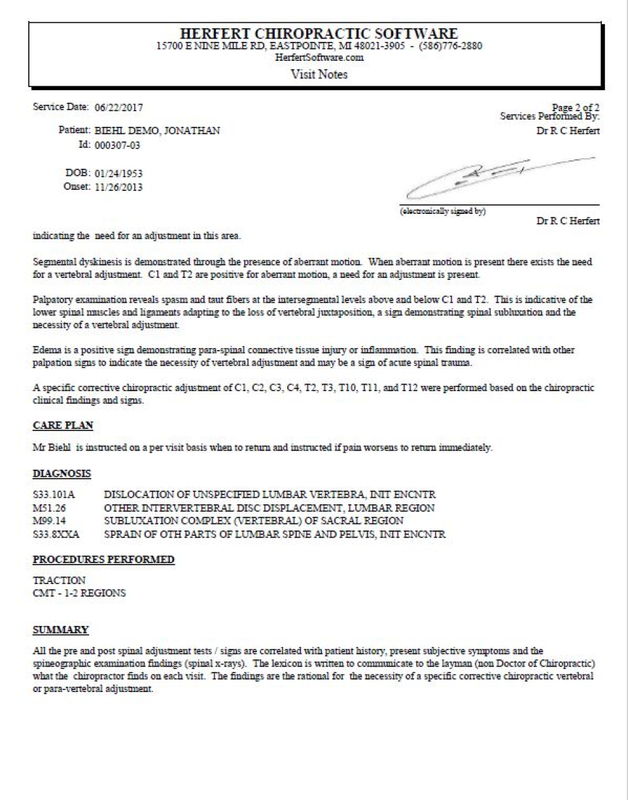 We don't do electronic records besides for accident cases (all others are paper records). 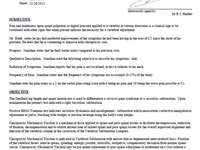 We can easily fill in the information and have a very nice and concise SOAP note for the patients visit. Cons: I don't know that there is anything I like least. I guess the one area in which I struggled with was learning how to refund a patient on a returned product. Or correcting a mis-entry on an appointment. But those are very minor and rare occurrences that I forget how to correct them. I had NO training on this software, but Customer Support helped show me how easy it is to use. Pros: I like that it does a lot of the thinking for me! There seems to be a lot of connecting of things to each other, so that I don't have to double back. I also like that the software questions me...because I'm not always correct. And, when I do make a mistake, fixing it is quick and easy. I also LOVE the Customer Support team!!!! I love the notes section in the Master File! Cons: I don't like the emailing system. I'm not sure why, but it seemed a lot more difficult that google, so I ended up using gmail! Everyone complains about the confusing statements too! Every month, I have to explain it to Dr. Ward. It is the write off section that seems to confuse people. Thank you for your review of Herfert Software. I will call you to discuss the options we have available to make patient statements less confusing. Pros: The software is simple to use and navigate through. If we ever have any questions, the support staff if very responsive. We love that they are open and receptive to adapting the software to meet our needs. Hi Dena and Brianna. Thank you for your review of Herfert Software. I will call you to review the scheduling options we have available that should help you separate massage and patient openings. Pros: The software is so powerful and has everything you could ask for. We're still learning everything that our office can do with Herfert. The customer service and web support is spot on with the ability of the support team to access your computer and fix any issues remotely. The team is very responsive with any questions we have and they're constantly rolling out more updates to add more and more options. The best part is the price. Very affordable. Cons: The one knock you could make is that there are a lot of tabs and windows, but this is because there are just so many tools at your disposal. Herfert has been a great choice for our office and the team provides incredible support! Pros: What I have loved is that we can reach someone on the phone within minutes. They have personalized the software, held our hand and made every step easier. There are details in the software experience that are so thoughtful and helpful for note taking and billing. Also, the price to own this software is so so so SO reasonable that I think it is nuts for anyone not to look into it. If you are a smart business person, wanting to keep expenses down, Herfert is the way to go. Cons: One of our offices uses another software and our team reports that it was not as initially intuitive but that once they learned it, it was wonderful. I found both systems to be initially a challenge so the fact that the customer service is SO INCREDIBLE made it so possible. Pros: I like the ease of use!! It is very user friendly and easy to navigate!! The customer service is top notch and if you ever have any issues or even recommendations on what you would like to see they will usually somehow put it in the update. We have switched to a different software thinking that the technology that they offered would make things easier and we ended right back at Herfert a month later. They truly are the BEST software for a high volume chiropractic office. Cons: Nothing!! Everything they have is useful and customer service makes it so theres nothing you can't like!! Herfert software is easy to use and the support is terrific. Pros: I can have suggestions turned into reality. Updates are easy to manage. The SOAP notes are easily customizable. Cons: Although I can talk to someone within a few hours of my call, I would like to be able to speak to a tech right away. Thank you for your positive review of Herfert Software. We strive to provide real-time technical support. On busy days we try to respond to all voice messages within 1 hour. If you have an emergency, please send an email to help@herfertsoftware.com (in addition to leaving a voice message) and we will do our best to resolve the problem ASAP. A well devised efficient system that reduces stress so you can focus more on your patients... bravo! Pros: The tech support staff are amazing. They are kind and caring and always find solutions to problems. Their response time is exceptional. This software is so efficient, it actually puts more money in your pocket by reducing your staff load. I have one staff who handles all operations of the office because of this system. Overall: Efficiency, the need for less staffing, prompt tech support, value. Pros: The initial cost of the software was the main reason why I chose it. It is very easy and efficient to use. Cons: Writing SOAP notes could be faster. I also find customizing the SOAP notes rather tedious. Overall: Herfert service is great. If I have an issue, it is always resolved within minutes. Easy to use software, excellent customer support. Pros: Whenever I have any issue, the support are quick to help me out and help fix it. The software is easy to comprehend, and has an easy uide if you can't figure something out. Cons: It does take a little while to customize features to make it the right fit for your office, but it's worth it. Everything is a lot easier than our last software. Overall: Ease of use and amazing customer service. Software is simple and easy to use yet it has the functionality to adapt to today's challenges. Pros: What we like is more about the company than the software specifically. We like herfert because the company is willing to adapt the software to our individual needs. Cons: A few settings that aren't present. Ability to remove someone from active lists when applicable such as when a patient passes away. Overall: Patient flow improvement. Easily register and bill insurances and patients. 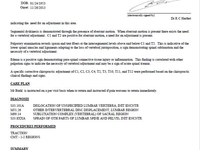 The Herfort Software is "THE BEST"
Pros: Herfert Software for Chiropractic is user friendly. Customer support is unsurpassed by any other! The customer rep is ALWAYS in the know and goes out of his way to help! Love the cloud options as it keeps us safe and always updated with the lastest options. Overall: We run our entire practice with Herfert software. It is exceptional! Pros: Herfert software is an excellent value. They have great customer service, and the software is very easy to use. Herfert will also do updates to the software that you request. Cons: I cannot think of anything that I do not like about the software. I just wish that I wold have found them tens years earlier. 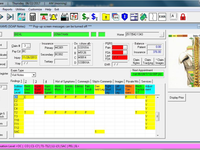 Herfert Software is a great software to use, easy to learn and to navigate with in the software. Pros: I like the software because if you have a problem with posting of what ever you can usually figure out how to solve the problem yourself, if not your always have the help of the support team at Herfert which are great, always ready to help and to resolve any problems that you might have. 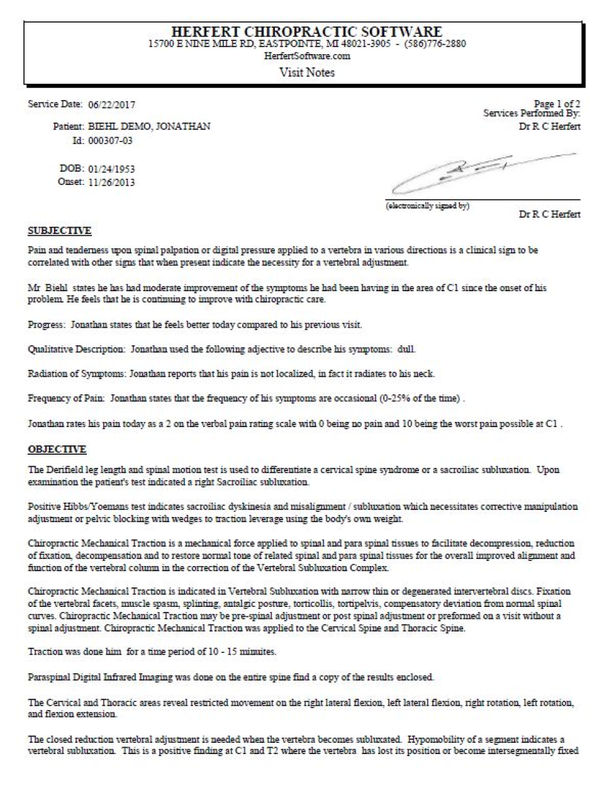 I wouldn't have any other chiropractic software for my clinic...Period!!! Pros: Ease of use, very user friendly and easy to train staff on. The billing is so simple, and easy to get 835's from in response format etc. Cons: Nothing really to post here. I absolutely love the ease of use of this product, and wouldn't have any other product in my office. Great investment in helping me run my office in an efficient and effective manner!! Pros: The system is 100% fully customizable! With the amazing customer support, I have 100% created my own documentation system that works for my office. Cons: With creating your own system for your office, it can be a bit overwhelming as it is so customizable. Overall: It helps me run my office the way I want. We have used Herfert software for years and have referred countless doctors to switch over to Herfe. Pros: The software was developed by a chiropractor for chiropractors. It is simple to use and covers everything that a busy office needs to bill and stay compliant. Overall: It's how I run my business. None. Almost every suggestion for improvement that I have suggested over the years have been implemented. Pros: Everything. And we keep learning new features. Have used Herfert Software since 1996. Cons: Can't think of anything except that we need to use an outside vendor for our EHR's. Which means two service fees. Great support team.Attentive ,patient and thourough , highly recommend. Pros: Ease of use, custom features tailored to YOUR practice. We absolutely love Herfert Software! Pros: What I like most is how easy it is to use and how organized everything is. Also the customer service is amazing. THE BEST chiropractic software! Easy to use! Customer service is fantastic! Highly recommend. Pros: Herfert software is by far the easiest to use and provides everything you need in an EHR software! The very best in customer support! Overall: 100% satisfied. I get the very best customer service. Every time I call, the customer rep calls me right back. The other rep is always looking for update suggestions. It is so easy to use, and offers so much function. Pros: Software is easy to learn and very affordable. Cons: I cannot think of anything specifically that I do not like. Overall: Herfert's support is exceptional. I love that it does everything a chiropractic office needs! Pros: I love how easy it is to both to use and to train new CAs on Herfert Software. Plus I can run all the statistics I want. Pros: Everything you need is right there, no jumping around from screen to screen. It was so easy to transition and learn. The reports are awesome. 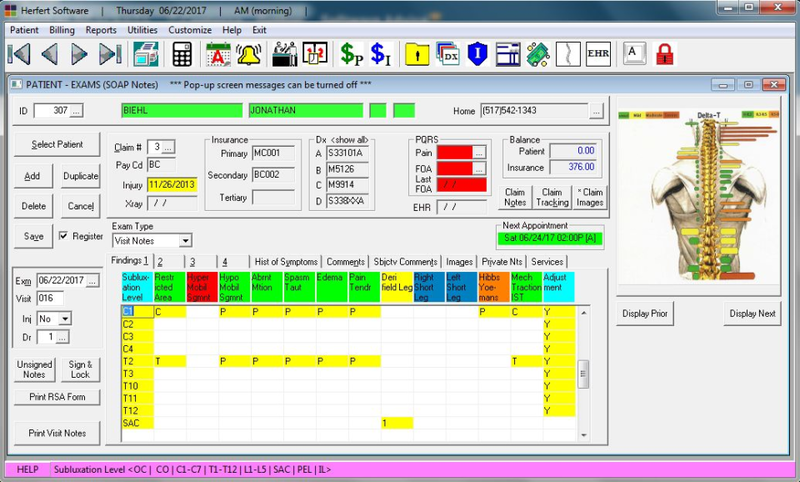 This software offers everything a front desk CA and office manager could ever want. Comments: Learning a new software is scary and sometimes hard, I've been using for 6 years. This was easy to learn, also has a help book included online. If that doesn't help tech support has never been a problem to get a hold of. Updates with notes on what was updated are great and keep you compliant. 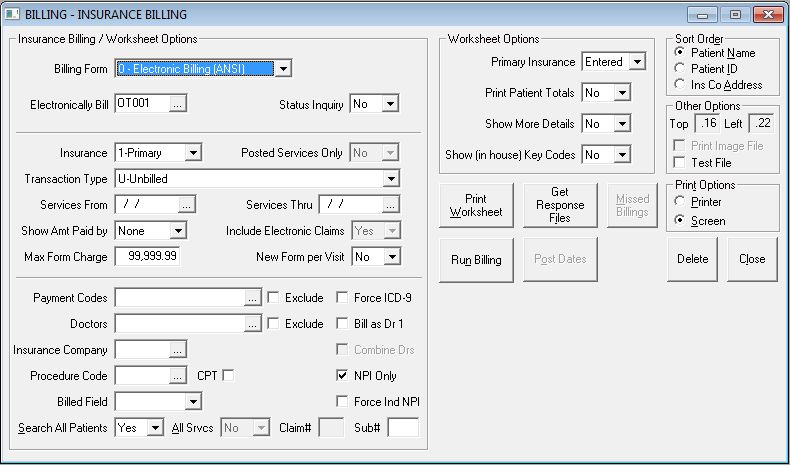 The prebilling worksheets help save time for errors along with other features that save time. Only wish there was a better tickler system for reminders. overall very satisfied.